Coral reefs are some of the most biodiverse and yet most threatened ecosystems in the world… The best way to protect coral reefs globally is to remove the current threats; support conservation, take care when snorkeling & diving, and most importantly, reduce your carbon footprint in your daily life. 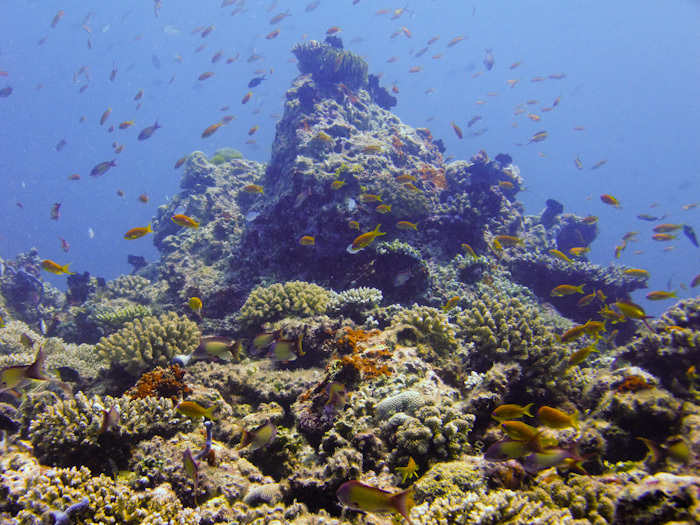 For some reefs that have already been damaged, we can assist coral reef recovery on a small scale. 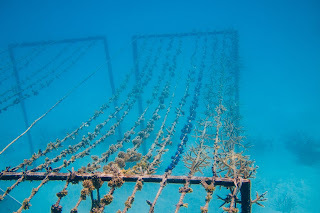 At Gili Lankanfushi resort in the Maldives, we are rehabilitating the coral reef by nursing coral on ropes (lines) (Levy et al., 2010) and later transplanting them onto degraded reef areas(Lindahl, 2003). 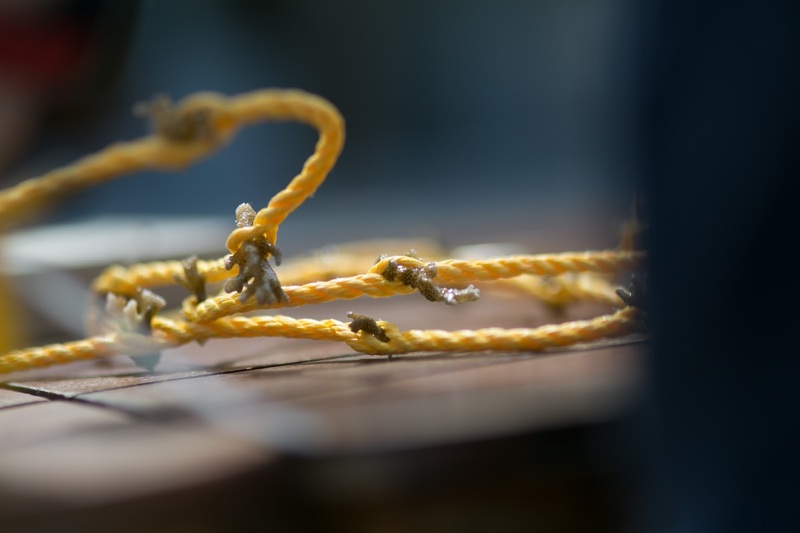 Every rope is initially planted with 50 small, living coral fragments. We nurse the corals in the lagoon for 1 year and later transplant the ropes to the One Palm Island reef if conditions are suitable. Overtime we expect the corals get stronger, grow bigger and improve the health of the One Palm Island Reef. 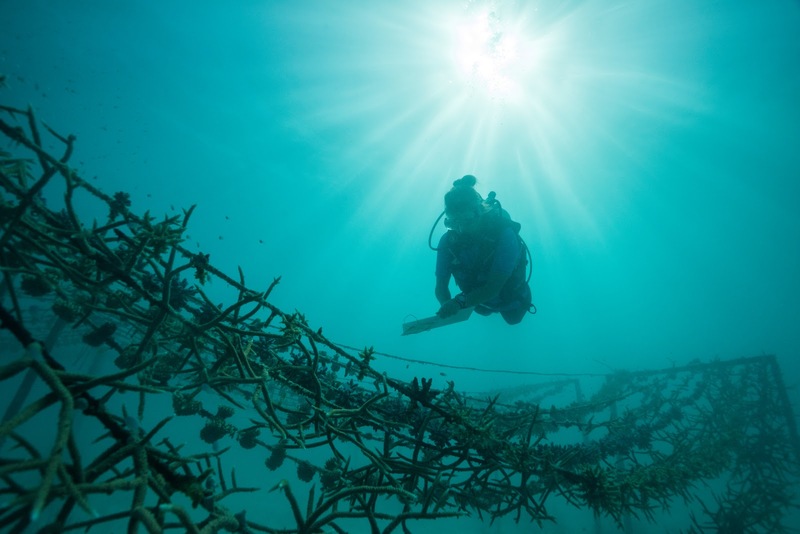 rehabilitation science, and 75% of the proceeds from every Coral Line donated will go to our Gili SEAS (Social & Environmental Awareness and Sustainability) fund, allowing our property to do more for the locals and more for the environment. We are also able to take donations from guests who are staying at Gili Lankanfushi. Additionally, we have an online donation system so that anyone will be able to donate a coral line from any part of the world! Planted a line already? Enter your line ID in the search field on the right. 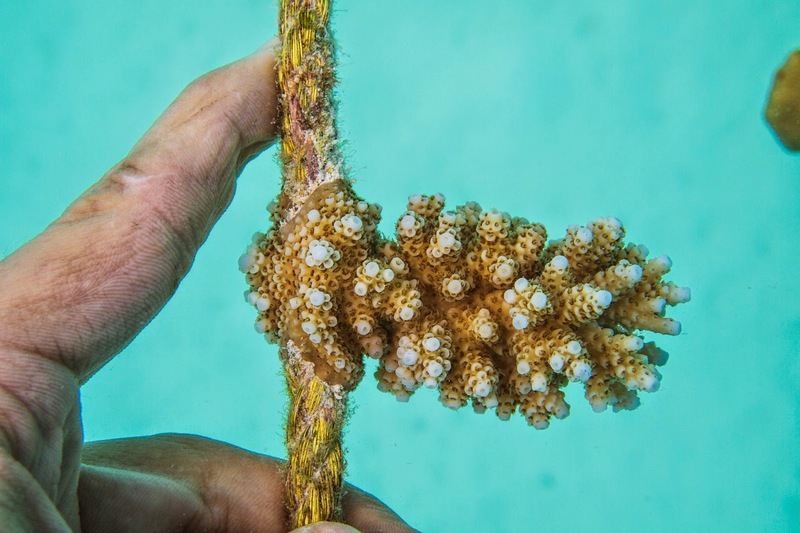 In March 2014, marine biologist Vaidotas Kirsys started the Coral Lines project and we became the first resort in Maldives to work on low-tech and high-efficiency coral reef recovery techniques that involve rope. Later Deborah Burn and Josie Chandler joined the team, and with their knowledge, help and ideas the project developed greatly. Now the project is managed by Clare Baranowski and Emma Bell who continue the hard work and dedication of Vaidotas, Deborah and Josie. What is Coral Lines again? hopefully, giving a better understanding of how to grow coral to those working in this field. We want to share the information now! There is little time to spare. One of the problems that science faces these days, is that researchers often do not share their findings until their project is finished (a paper is published). 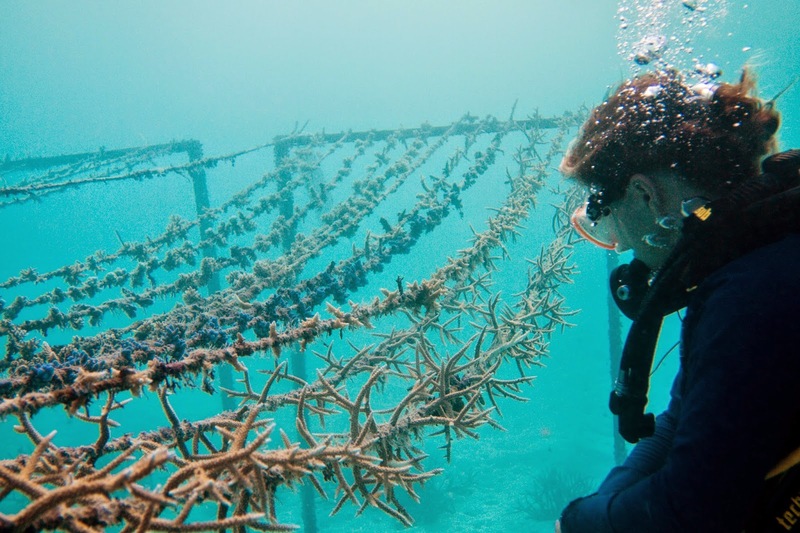 When it comes to coral reef restoration, to answer many questions, a research project would normally take several years (corals grow slowly).The question is; do we actually have that time to spare? 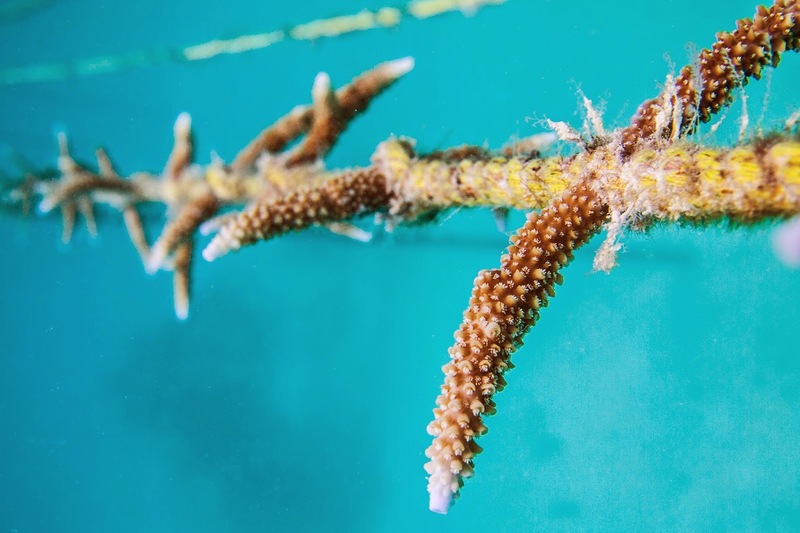 We think, with the threats facing coral reefs becoming more imminent, the answer is ‘no’, and so we have decided to make our work open access and share our Coral Lines research project findings on a regular basis! Coral Lines is a one-of-a-kind project in Maldives. 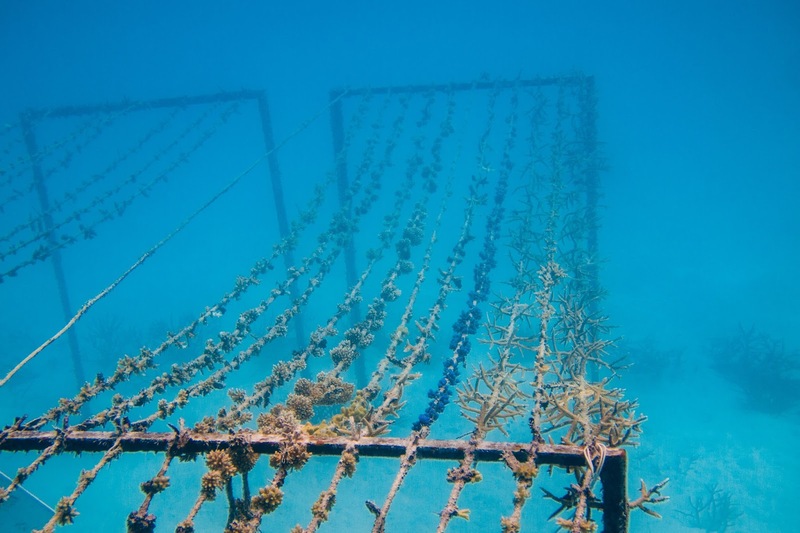 As far as we know Coral Lines is the first reef rehabilitation project in Maldives which is not focused on profit, rather on science, and one of the very few coral restoration projects that shares the findings online, on an as-we-go basis. This enables us to build awareness within the general public as we work to illustrate our results using relatively simple graphs, but also provides a platform which makes us approachable to other scientists researching in the field. 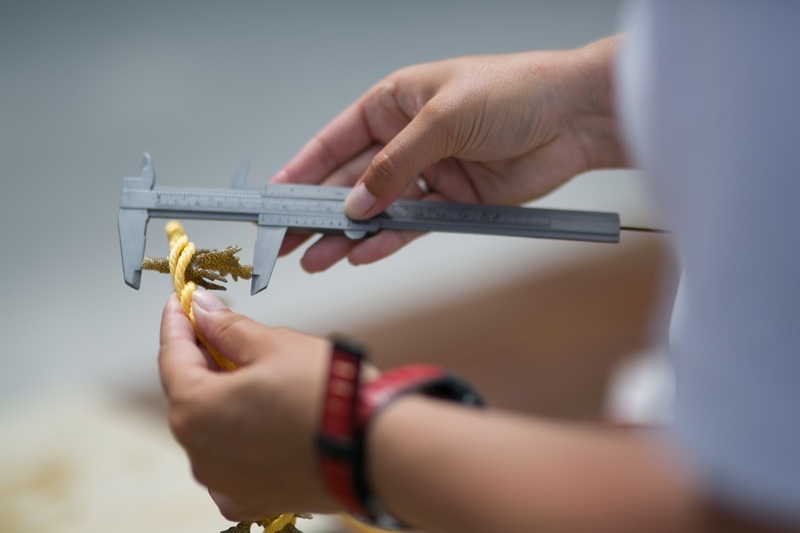 We hope that by sharing our research, both the positive and the negative, it might prevent the same mistakes happening in future projects, further improving the field of reef restoration.